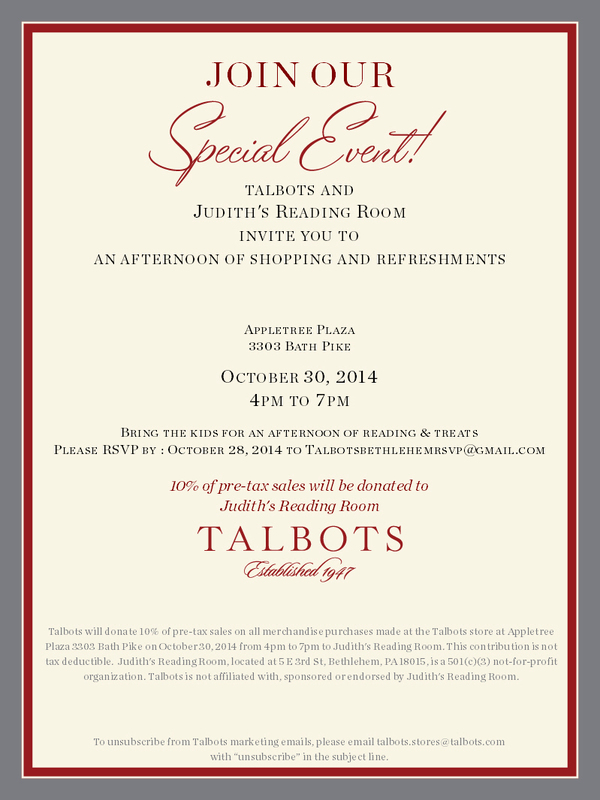 Oct. 30th – Special Event at Talbots! Talbots and Judith’s Reading Room invite you to an afternoon of shopping and refreshments. Bring the kids for an afternoon of reading and treats! Monster theme – “Where the Wild Things Are” by Maurice Sendak and other monster themed books. Activity – Oragami Monster book marks. 10% of the pre-sale tax sales will be donated to Judith’s Reading Room. Please RSVP by Oct. 28th to talbotbethlehemrsvp@gmail.com.